Product prices and availability are accurate as of 2019-04-19 02:58:33 EDT and are subject to change. Any price and availability information displayed on http://www.amazon.com/ at the time of purchase will apply to the purchase of this product. 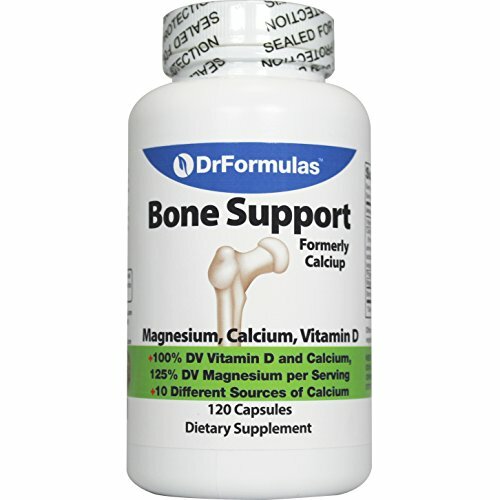 DrFormulasTM Bone Support includes an important trifecta of vitamins and minerals to provide support for healthy bones. To keep your bones and joints strong and healthy, you need a diet that is plentiful in calcium. Vitamin D is also essential, to help your body absorb the calcium. The trio is completed with magnesium, which increases bone mineral density. Although you can obtain each of these vitamins and minerals from food sources, you may not be getting the daily amount you need. To help strengthen your bones and lower the risk of developing brittle bones, DrFormulasTM Bone Support has exactly what you need! Daily value: Not only does this supplement contain 100% Recommended Daily Value (DV) of calcium, it also has 100% DV of vitamin D and 125% DV of magnesium, so you can be certain that you are getting all the nutritional bone support you need. Easy to swallow: Simply take two pills twice a day. The best way to take them is two in the early morning and two in the evening, or at bedtime, so you can rest assured you are getting the maximum benefits. Safety guaranteed: This product is made to DrFormulasTM highest standards in an FDA approved and inspected facility. Your safety is our top priority. Remember, calcium alone is not enough to maintain optimum bone strength. 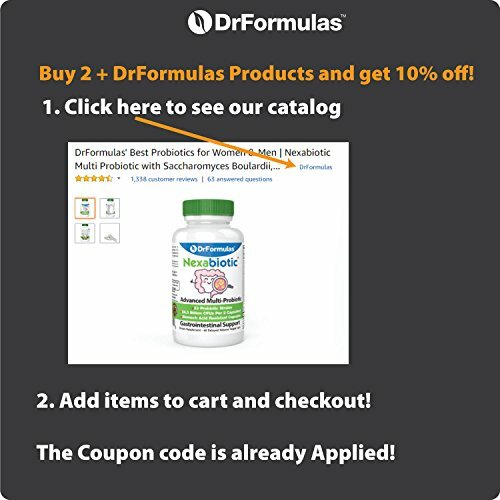 Support healthy bones and joints with DrFormulasTM Bone Support. Just four pills a day will provide you with a balanced combination of the key nutrients you need to promote healthy bones and joints. 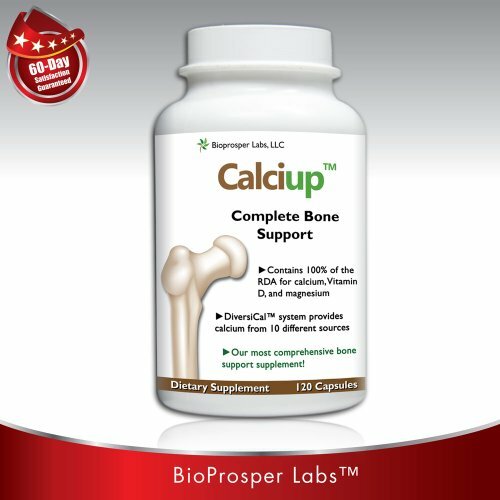 CalciUpTM is a proven combination of essential bone vitamins and minerals. 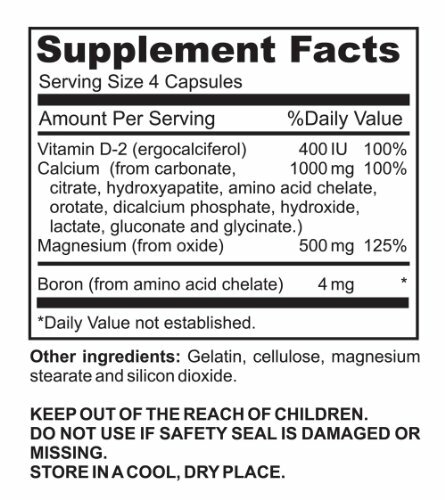 Taking these easy to swallow capsules provides: 100% of your RDA of calcium, vitamin D, and 125% of magnesium. Boron is also included to help with calcium absorption. Our DiversiCalTM system provides a well-balanced source of calcium from 10 different sources including: Calcium carbonate, Calcium citrate, Calcium hydroxyapatite, Calcium amino acid chelate, Calcium orotate, dicalcium phosphate, Calcium hydroxine, Calcium lactate, Calcium gluconate, and Calcium glycinate. Made in the USA. Results guaranteed or your money back!